﻿ Cobblestone road in Trinidad. 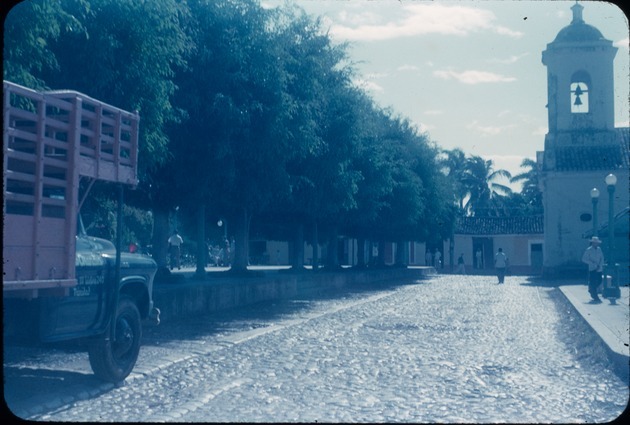 Trinidad (Sancti Spiritus, Cuba) -- Buildings, structures, etc. Old church at the end of the street is characteristic of the Spanish architecture throughout the island.